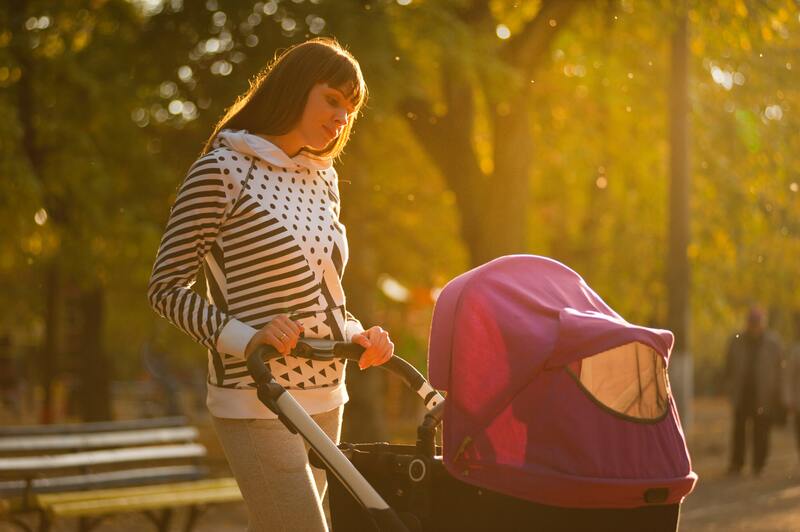 Postnatal Depression: Motherhood and Mental Health. I started writing this post some weeks ago, but after watching this segment about postnatal depression (and the other mental health issues that can affect Mothers) on the BBC news last night, which had the line in: “one of the leading killers of women in the postnatal period is suicide”, it seems more relevant then ever. 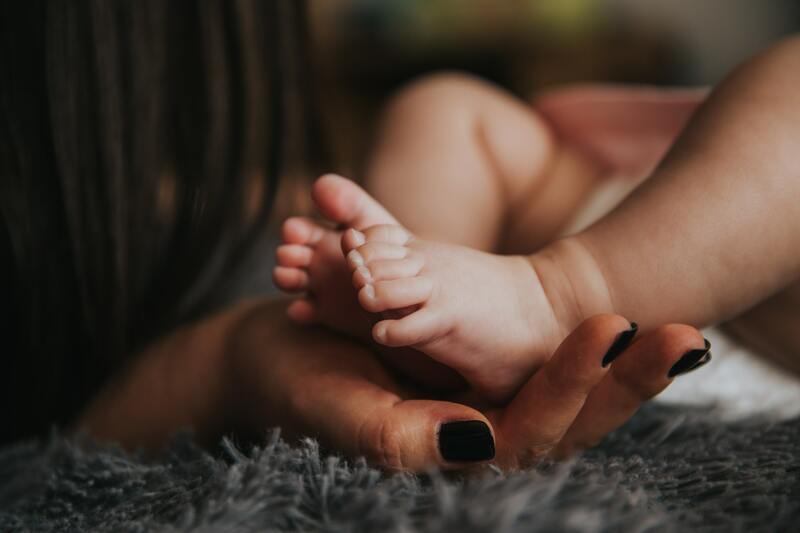 I’ve written extensively about my postnatal depressionand anxiety in the past, at one very very low point, just before I sought help, I also felt suicidal. 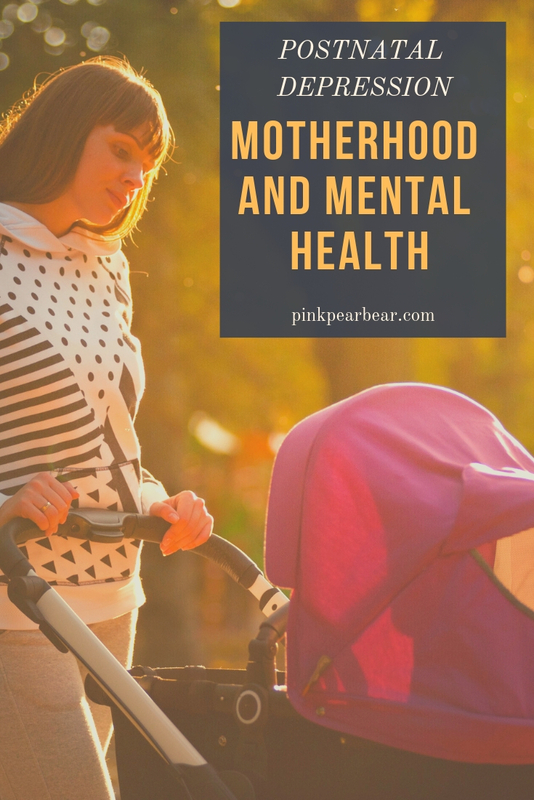 After some recent discussion on my various social media channels, I’ve started to wonder whether motherhood is the cause of a lot of mental health problems, and if not the cause, whether it exacerbates pre-existing issues? I’m going to have an explore of the reasons I think it’s specifically motherhood that is at the root of it. The Unexpected. 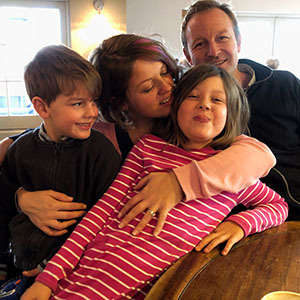 No-one ever knows what Motherhood will really be like beforehand because it is absolutely impossible to explain and we all have such wildly different experiences. It can even vary so hugely from baby to baby and it is so hard to get your head around. Whether you feel a rush of love that is overwhelming or too traumatised by a labour that didn’t go to plan to take in what has happened to you. Maybe it takes you a while to bond or you are suddenly completely terrified of anything hurting this tiny being you are responsible for, it can affect us all in different ways and there is no book or manual that can prepare you. As long as you’re aware that there can a mix of feelings and emotions. Hormones. A big one right? How many of us feel at the mercy of our hormones on a daily basis? Despite having had a hysterectomy, I still have my ovaries and I’m still very aware of my hormones affecting my mood. Some days I feel a rage that’s completely unjustified and am probably avoided by my family! Others I feel the sadness of the world so keenly that it’s like a physical weight on my heart. When we get pregnant our hormones are all over the place, and then there is the subsequent rush of them that absolutely flood our bodies when we go through labour and deliver the baby. This is bound to unsettle us and cause havoc with our mood. Especially first time round when you have no idea if you’re doing the right thing, you are suddenly responsible for another human being, and one that doesn’t follow any rule book or manual. Sleep. I’ve realised now my kids are older that sleep has a very major and very real affect on my mood, if I don’t get enough, I am such a miserable and grumpy human and can feel so low, and sleep is the one thing that you do not get in the early years of having a baby. I remember feeling physical pain from lack of sleep and wondering if it was possible to actually die from sleep deprivation as I felt so terrible. On the odd occasion I’d get a decent night, I’d wake up and feel like a totally new human and so happy. Those long hours feeding in the early hours or desperately wishing your baby didn’t think that 2am was time to play still feel traumatic to me now, 6 years on and there is something so soul destroying about sitting alone in the dark believing the entire world is asleep and you are the only one in existence. Loneliness. The overriding feeling I used to feel during those long hours at night was loneliness. The loneliness began when the baby was born for me. Friends who already had babies were suddenly in their own cycle of nappies, crying, sleeping when you could and spending whole days in pyjamas and friends who were yet to have babies didn’t really understand and carried on with their own lives, unaware of my envy as I was forced to live vicariously through facebook photos, watching their exploits from the sofa with bird’s nest hair and smelling of stale milk. Even as the children get older, loneliness hits in different ways, when they both started school, suddenly I was alone for the day, so used to having a small human for company at all times, even on the toilet, the quietness of an empty house took a long while to get used to. I just missed them and wondered how they were doing and if they were ok.
Mindfulness: half an hour in peace, are you having a laugh! We all know how much damage a toddler can do in half an hour, and who would tackle that mountain of washing? A bath: without everyone wanting to jump in or hammering on the door if you’ve locked them out? No chance! Counselling: what are you supposed to do with your children? Seeing your doctor: during the early years, we were at the doctor a lot, for them! There was no chance for a slot for me. Exercise: Again, difficult to do with young children or in newborn times. Seeing friends: See Loneliness above. Social Media Pressure. It can be so easy to get into the trap of comparing ourselves to others. When you see the beautiful homes filled with clean children playing nicely in matching vintage outfits, you can start to feel seriously inadequate as you see your home, filled to the brim with toys and laundry and wrestling children and dust and old breakfast plates still on the table. It’s important to remind yourself that for a lot of people, social media is part of their job or they might have nannies or cleaners or one child. Or they might be completely faking it. I always celebrated just making it through the day with everyone in one piece, if they had clean-ish clothes to wear and some kind of food in their bellies, I felt I was winning! Competitive Parenting. Wherever you come from, there are competitive parents and it can be very easy to get drawn into it all. Are they reading well enough, are they doing enough extra activities, should they be meeting more milestones? Actually, I just try to remind myself that often these competitive streaks are born from the parents’ own insecurities and my children are just fine working at their own pace and they can’t do everything. Some down-time digging holes in the garden is just as important as learning an extra language. Worry. I don’t know about you but I spent a lot of time worrying. Was I doing the right thing, was it ok, were they ok? Constant fears and second guessing myself. And as they get older, I still really worry! Am I dealing with things in the right way, are they eating the right foods, can they have too much pizza? It might sound tongue in cheek but it’s a genuine concern! The fact that so many women are suffering in silence is the very reason I talk about it so much, on the blog and on my social media channels. It’s not for attention, (in fact, if you know me in real life you know that I struggle to talk about my feelings!) it’s to try and stamp out the stigma that there still is around mental health. It makes me so sad and frustrated that there is still a lack of support and that mothers are still scared to admit that they are struggling or they aren’t enjoying motherhood or that they are depressed or anxious or lonely. I will continue to try and shout about it and every single message I get that says ‘thank you for writing this, I thought I was the only one that felt this way’ drives me on to keep talking. There is absolutely no shame in having mental health issues whatsoever and the sooner people realise that and truly believe it, the easier it will be for them to seek help and admit they aren’t coping. We shouldn’t still be losing so many Mothers to suicide in this day and age. It just isn’t right. Phone or get an appointment with your midwife, health visitor or GP. Pandas Foundation: The PANDAS Foundation is here to help support and advise any parent who is experiencing a perinatal mental illness. We are also here to inform and guide family members, carers, friends and employers as to how they can support someone who is suffering. Mind: We’re Mind, the mental health charity. We won’t give up until everyone experiencing a mental health problem gets both support and respect. APNI (Association for Post Natal Illness): If you are suffering from postnatal depression we recommend that you try talking to one of our volunteers. We are always happy to hear from depressed mothers and glad to answer any enquiries. You can ring us or email us, but please do enclose an S.A.E. if you write.